"A mind is a terrible thing to lose" It is very healthy to know the state of our mind and if something is going on to seek help. Today's movie 'Frankie & Alice' focuses on mental illness. Released in 2010, Directed by Geoffrey Sax. Starring Halle Berry, Stellan Skarsgard, Phylicia Rashad, Chandra Wilson, Matt Frewer. 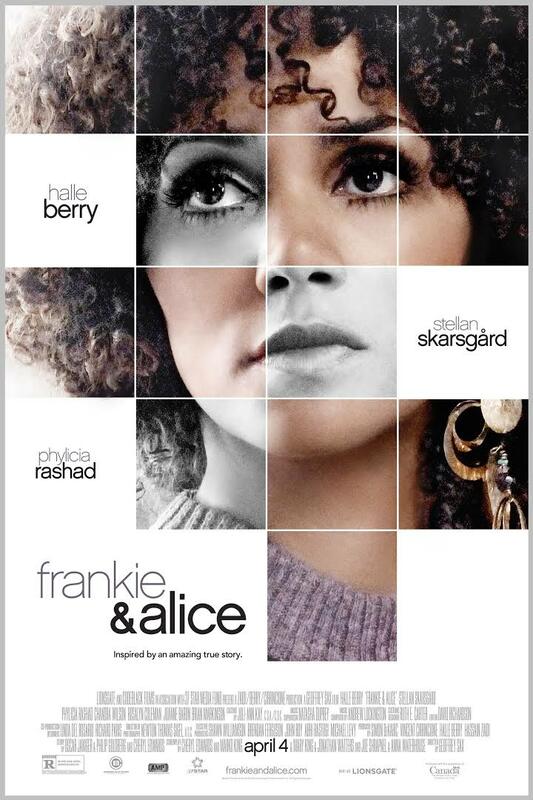 This film will have you in tears as you follow Frankie's dark past and discovering her true identity. Inspired by the remarkable true story of an African American go-go dancer "Frankie" with multiple personalities (dissociative identity disorder) who struggles to remain her true self while fighting against two very unique alter egos, order to stop the multiple voices in her head, works together with a psychotherapist to uncover and overcome the mystery of the inner ghosts that haunt her.